Today’s retirees are quickly finding out that retirement requires as much preparation emotionally and psychologically as it does in financial preparation. You will need to prepare for this new stage of life in many ways. 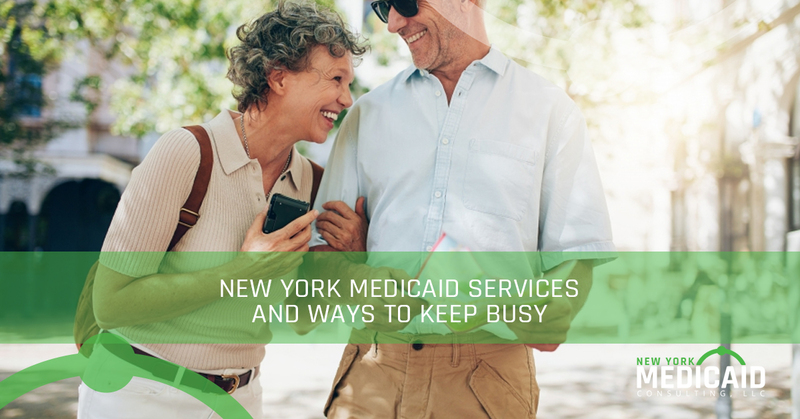 And while New York Medicaid Consulting can provide you with the Medicaid services you need, you are on your own with the other preparation aspects of retirement. You have probably focused on the financial issues of retirement for a long time. Traditional planning for this event ensures that you are economically sound during your golden years. But this is only one of the challenges you will face in retirement. If you haven’t considered the more important issue of quality of life after retirement, then now is a good time to start. There is very clear evidence that many retirees step completely away from the action upon retirement. That is, they fail to stay engaged with others and productive and wind up being alone and despondent. Sadly, this isn’t what retirement should be about, it should be a happy time in our lives with many joys and rewards. Upon retirement, you need to take a different approach to what you will do the rest of your life. Instead of falling back and becoming isolated and sad, take control of your life, move forward and discover what you really want to do. Here are a few things you can do to keep yourself productive and busy and improve the quality of your life. All too many of retirees spend way too much time perched in their favorite recliner doing very little all day long. And while you might enjoy relaxing and watching your favorite television shows, it is an activity that is not at all healthy. We should say it is this inactivity that is not healthy. Regular activity, no matter how mild, keep both the mind and the body feeling positive and balanced. Going for a walk boosts your immune system, lowers your blood pressure and will improve your quality of sleep. In general, exercise will just make you feel better. Many retirees think they need to go to the gym or run or pump weights to get exercise, this is just not true. A simple walk is all you need to enjoy the benefits of exercise. Reading, writing and brain games are all ways in which you can keep your mind sharp. Having a sharp mind improves your overall being. So turn off the television and grab a copy of The Count of Monte Cristo. People who are isolated and lonely tend to live shorter lives and are at a much greater risk for dementia. This can be prevented by staying connected to other people. You need to go out of your way to seek out ways in which you can get together with friends and family. You could host a weekly meal for family or set aside a time each week to meet up with friends at a coffee shop. In addition, you can volunteer with a charity or another part of your community, get involved in the church or visit the senior center in your neighborhood. These are all activities that require plenty of social interactions. It is a sad fact; depression late in life affects over 6 million people. There are any number of reasons a retiree may be depressed including the loss of a loved one, a medical condition or side effect of a medication. Just know that the best way to deal with depression is to tell somebody about it and have it treated. Don’t ignore the symptoms of depression. Don’t just sit there on that chair and stare at the television screen, get up and do something. We have no doubt that there is plenty of things you could be doing around the house. For example, you could be folding laundry buying groceries, organizing the drawers in your kitchen or even clipping coupons from the Sunday newspaper. Whatever you do, you will feel good about yourself when it is accomplished. New York Medicaid Consulting is dedicated to providing the highest quality Medicaid planning services. Give us a call.